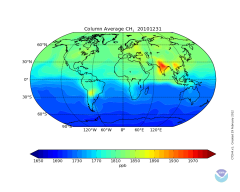 Atmospheric methane concentrations resulting from CarbonTracker-CH4 estimated emissions. 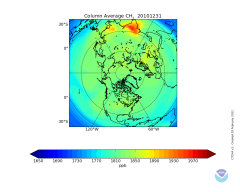 Daily global maps of column averaged pressure-weighted mean mole fraction of methane simulated by CarbonTracker-CH4. Movies of the simulated global distribution of CH4.